The As Family We Go fall tour has kicked off and it seems as though we have picked up where we left on the spring tour with ease. This group of musicians, crew, and children really have become family—a family going in pursuit of Jesus and His mission. We found ourselves in Alamogordo, New Mexico—admiring the desert beauty, cautiously avoiding rattlesnakes and scorpions, and struggling to pronounce the name of the town we were in. We had the opportunity to hear first-hand what God is doing in their town. One woman showed us the town and explained that much of Alamogordo’s context is saturated in both NASA centers and military bases. Because of this, many homeless veterans wind up in Alamogordo squatting in vacant houses. We were told that God has started a movement of connecting churches across denominational lines to unite in mission to give opportunities for development to the homeless community in their town. We also had the immense privilege to chat with Aleka and Tim; two of the pastors of Christ Community Church. We were told that the church had been in decline for a number of years and accrued a number of challenges from years of “inward-focused” ministry. Tim explained that over the last five years that tide has turned and there is a youthful resurgence occurring within their congregation. Tim described how they decided to turn one specific challenge into an asset for the Kingdom. He went on to describe that much of Alamogordo’s population are young military families in transit. Whereas many congregations could feel the temptation to challenges to this high turnover rate, Christ Community Church has seen it as an opportunity to train men, women, and children being deployed all over the world as missionaries. It became clear in listening to this young pastoral team that the church’s sending capacity is valued metric. In the lobby we were so grateful to chat, encourage, and pray with a number of people. One young couple said that something said the concert confirmed a call by God to start some sort of gathering to reach people in their community. They explained that the dream had been there for some time—they just needed someone to walk with them to help initiate its launch. We then continued working our way west to Tucson, Arizona where we met with a local pastor Roger, who described all that God was doing in Tucson. The principal’s skepticism couldn’t be won over—but then God orchestrated a remarkable encounter. The music director, who was respected and beloved by the entire school district, popped into the principal’s office. “Roger?? ?” the man asked with curious excitement. Roger whirled around to see the man who had discipled him throughout his early adulthood. The music director leaned in toward the principal and vouched for Roger’s character and integrity. “Well,” the principal started, “I’ve had this dream.” His voice tailed off, before sheepishly saying “… but we just don’t have the staffing or resources to pull it off.” As the principal described wanting to form a tangible way to connect and serve parents, Roger intently listened before agreeing to organize a group from his church committed so seeing the principal’s dream become a reality. After several years, the principal approached Roger and his team. Roger didn’t need to devote too much thought to the principal’s request. Week after week his team would come in and connect the student’s curriculum to biblical truths in engaging ways. At the end of the year, Roger would then make a clear presentation of the Gospel to the students—nearly all of which would give their lives to Jesus Christ! What is perhaps most surprising is that Roger would not bat an eye with the students then being connected to other congregations. I began to wonder how Roger had so much humble enthusiasm and also integrity to not clutch onto this incredible ministry for his own intentions. Roger deferred my incredulous curiosity by explaining that Jesus is at work unifying the churches of Tucson selflessly in mission to make Tucson look more and more like the Kingdom of God by focusing on the social domains of the city, such as education, the arts, civics, and the health system, to name a few. We love this story because it so clearly and simply captures our hearts with As Family We Go. Roger and his church recognized that adventuring for Jesus does not necessarily mean journeying across the globe for the sake of the Gospel. They have realized that perhaps an entire city can be transformed by tirelessly devoting their church-community to tangibly loving the students, their parents, and their teachers on their block with something as tangible as coffee, donuts, and a little extra help with learning cursive. 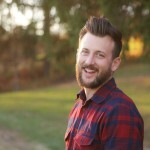 Church-planter and teaching pastor of Radial Church in Canton, Ohio, Dustin has been a long-time advocate for equipping churches and individuals with the encouragement they need to reach the world around them with the Gospel. 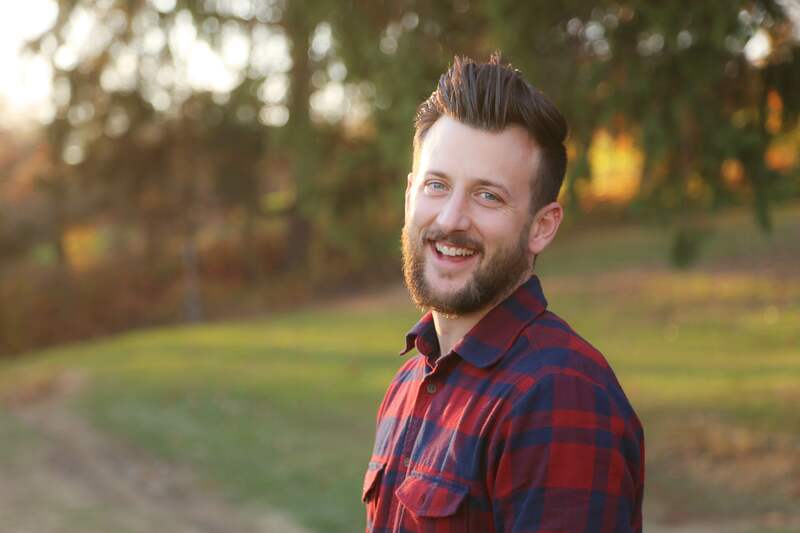 As a leader of As Family We Go, Dustin works connecting church communities with one another, while mentoring young church-planters and community leaders across the globe.